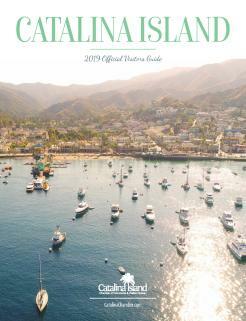 Each year, thousands of visitors experience Catalina for the first-time. This Island paradise takes lifetime to explore all of its secrets, but there are a few things you should know before you arrive. Avalon is just small part of the Island – While the charming seaside resort of Avalon has plenty of attractions to keep you busy for an entire vacation, Catalina Island has much more to offer. Covering about 76 square miles, Catalina is primarily owned and protected by the Catalina Island Conservancy and visitors can experience its dramatic natural beauty by hiking and organized tours. Water is a precious commodity – While current drought conditions aren’t severe, conserving water is always a priority on this Southern California island. Don’t be surprised if you are only served water on request or see information about conserving water at various locations around the island. Catalina Island is part of Los Angeles County – There’s no need to get out your passport or worry about changing money. It may seem like an exotic paradise, but Catalina Island is part of California. Our law enforcement is provided by the Los Angeles County Sheriff’s Department and our schools are part of Long Beach Unified School District. 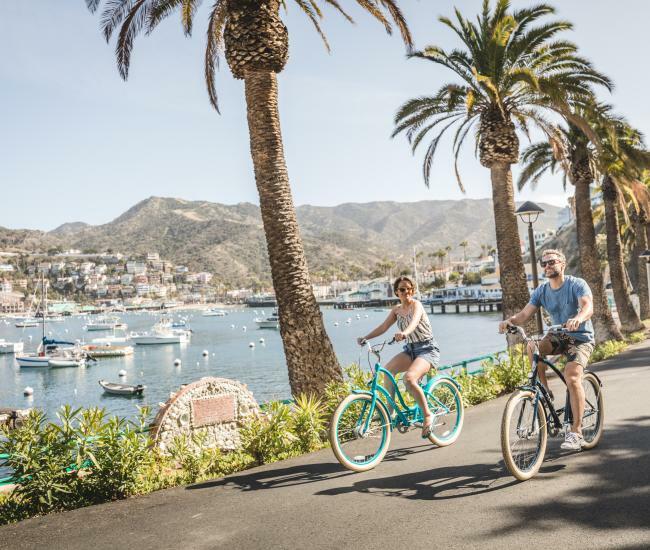 You won’t be able to see it all in just one trip – While many first Catalina visits are a day trip or a port stop on a cruise ship, exploring Catalina Island is much more fun when you have a few days to do it. Even then, you won’t be able to experience everything this compelling island has to offer with just one visit. Travel is easy -- There are two boat companies, four ports and a helicopter offering regular service to Catalina Island. With Catalina ferry ports in San Pedro, Long Beach, Newport Beach and Dana Point, as well as heliports in San Pedro and Long Beach, getting to the island is easy – and fun. Spotting dolphins, looking for whales and relaxing on the journey are all part of the trip to Catalina Island. There’s a whole lot to do on the island – Adrenalin-pumping adventures? Check. Cultural wonders? Check. Things to do for the entire family? Check. 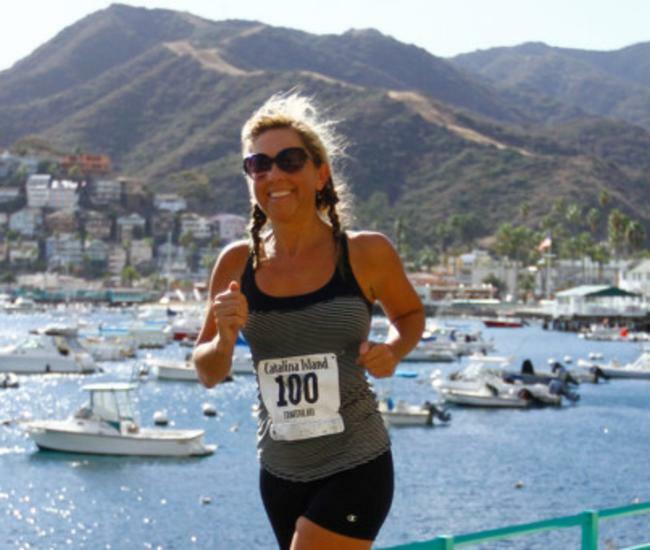 First time visitors to Catalina Island are often surprised by how much there is to do here. Whether you’re looking for a vacation over-flowing with activity or a relaxing retreat with nothing more strenuous than a nap, Catalina Island is the ideal destination. 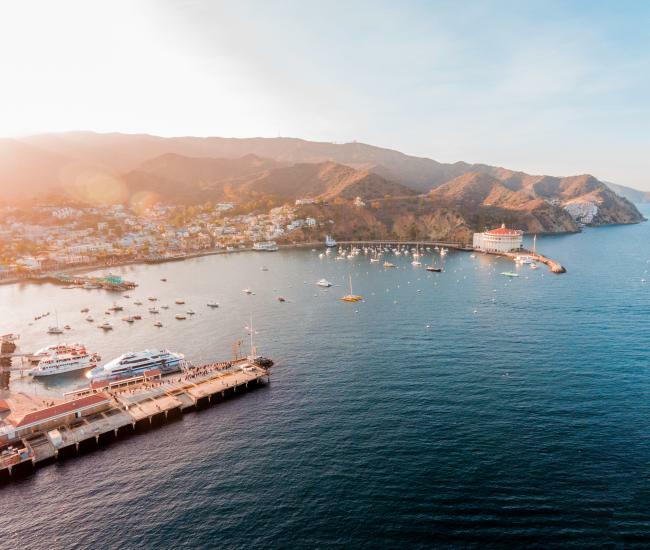 The best time to visit Catalina Island depends – One of the most common questions first-time visitors to Catalina ask is “what’s the best time of year to visit?” And the answer depends on what you’re looking for. Summer features sun-drenched beaches and the widest range of activities. Fall offers great weather and a wealth of events and festivals. Winter provides uncrowded attractions and a sense of serenity. Spring begins to heat things up again and is a great time to explore the interior of the island. Catalina Island has been many things to many people – While the island has been a vacation destination for more than 100 years, it’s also served as a military outpost, smugglers’ hideout and cattle ranch. For nearly 10,000 years, it was home to native islanders, accomplished seafarers who thrived here for hundreds of generations. To learn more about the culture and history of the island, visit the Catalina Island Museum. You won’t be able to see the sunset from Avalon – Many first-time visitors to Catalina Island are surprised to discover that the sunset view from the seaside resort is limited. Most of Avalon is surrounded by hills and Avalon Harbor faces northeast – to see the sunset over the Pacific, you’ll need to travel to the windward side of the island. On the other hand, early risers are rewarded with spectacular sunrises in Avalon. You’ll be able to stay connected – if you want – Like everywhere these days, both Avalon and Two Harbors have cell and wi-fi service, although it may not be as fast as what you are used to. Many places in the interior of the island are isolated and service is not available. You’re going to want to come back. Again and again – There are very few for whom a first visit to Catalina Island is a last visit. This fascinating Southern California destination invites exploration and you’ll soon be looking forward to your next visit.